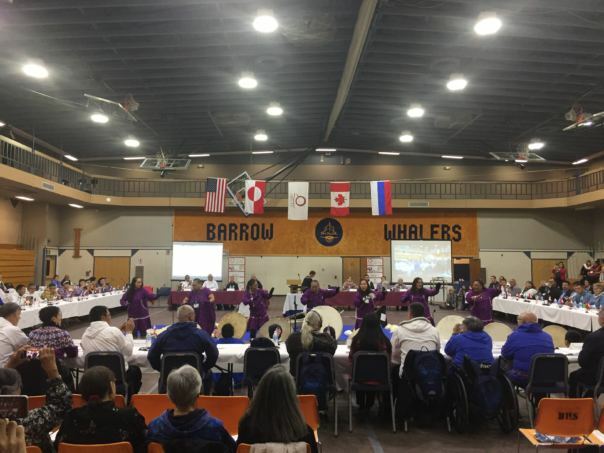 This week, indigenous people from all over the Arctic are gathered in Utqiaġvik for the Inuit Circumpolar Council’s (ICC) 2018 General Assembly. ICC advocates for the rights of the Inuit at the local, regional and international levels. At the high school gym in Utqiaġvik, there’s a sign for the high school’s “Barrow Whalers” — and several flags strung in front of it, representing the United States, Canada, Greenland and Russia. About 800 people are at this event — some are from here in Utqiaġvik, but others have flown in from Nome, Kotzebue and St. Laurence Island, as well as the countries represented by those international flags. You see a lot of people embracing friends that they haven’t seen in awhile, and the feeling is definitely one of reunion. This group was founded back in the 1970s, on the idea that even though borders had been drawn throughout the Arctic, the common history, culture and language of the people who live here unites them, and that they should have a vehicle to promote their common interests. “Although not a nation-state, as a people, we do constitute a nation,” ICC founder Eben Hopson said. 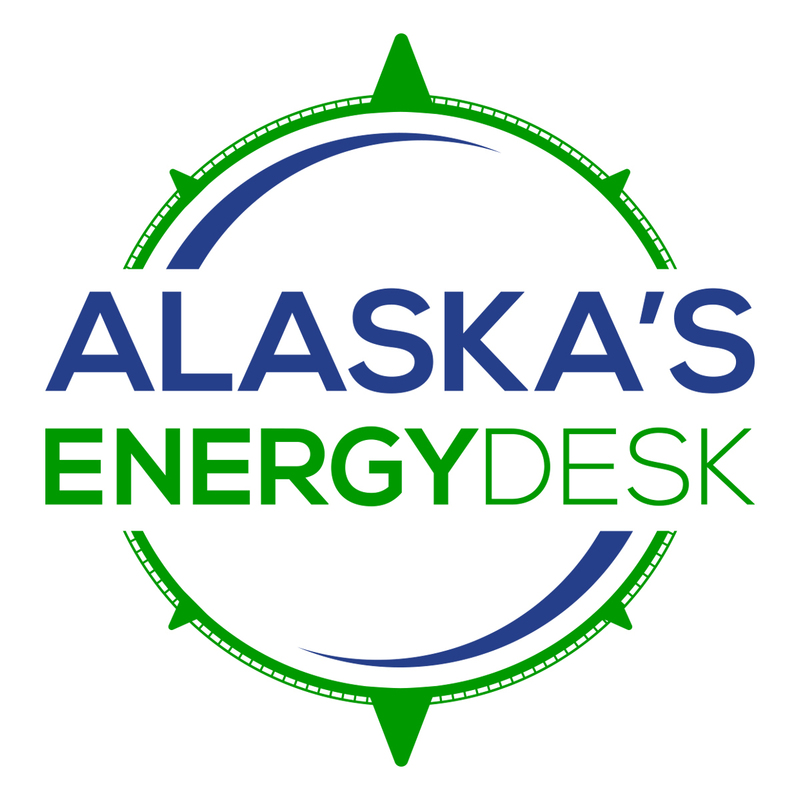 Cordelia Kellie splits her time between Anchorage and Utqiaġvik but made sure to be in town for the event. The ICC helps to shape Arctic policy on the international stage, like at the United Nations and the Arctic Council. And at this week’s meeting, the ICC is talking about a whole range of issues, including food security, climate change, economic development and language loss. They’ll elect new leadership, and come up with a document that will guide their priorities until the next General Assembly four years down the road.